New York Archives, published quarterly by the Archives Partnership Trust, is an educational publication about New York State history as revealed by research in archival records maintained throughout the state. To receive this quarterly magazine on a regular basis, subscribe today. View highlights of the current and past issues of New York Archives online. 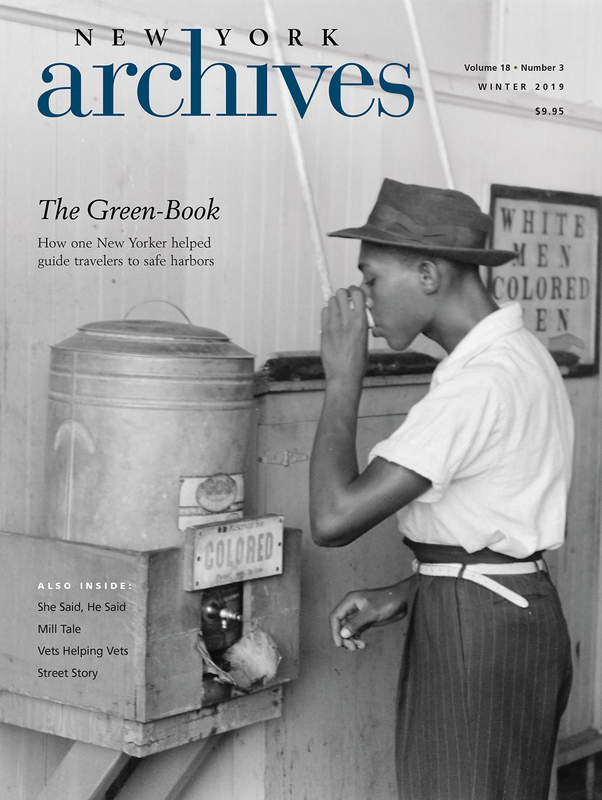 We recommend you review highlights of current and/or past issues before going to our Archives Shop, as you will need to know which issue of New York Archives you would like to order by season and year. New York Archives is not an academic journal. It is designed to appeal to the general, educated public with an interest in the history of New York State. Through creative use of graphics, captions and pull-quotes, the content is designed to be immediately accessible to the reader. Footnotes are discouraged, article length does not exceed 2000 words, and the features are designed as 2- to 4-page spreads that do not jump to pages at the back. New York Archives editors prefer queries over unsolicited manuscripts. Queries may be submitted via: email: aptrust@nysed.gov : Editor, New York Archives, Suite 9C49 Cultural Education Center, Albany New York 12230; phone: 518-473-7091; or by fax: 518-473-7058. If mailed, please include a stamped, self-addressed envelope. If the editors' response to a query is positive, details of the writer's contract and payment will be discussed. In order to be considered for publication, a manuscript should be based in part on materials in the historical records repositories in New York State. Such repositories include, but are not limited to, archives (including the New York State Archives), historical societies, libraries, museums, and local governments. Editors are also interested in receiving queries for interviews with readily identifiable individuals who have used historical records to discover new or little-known information. Writers can best understand the nature of the magazine by going to the Magazine Highlights where they can read select past articles (at least one article from each issue is featured in its entirely). Article lengths are 850 to 2,000 words. In addition, writers should include a sidebar of approximately 100-200 words that discussed the kinds of historical records that were used to make possible the information in the article. Accuracy is vital. Writers are expected to double-check all facts in their stories. If the article is accepted for publication, writers will be asked to submit a brief biography and photograph for the Contributors section. Payment for articles is made upon acceptance. There is no kill fee. Manuscripts should be submitted in electronic form, preferably by email, in Microsoft Word. Editors cannot provide critiques of submitted materials. Rejection of an idea or manuscript does not necessarily mean that it lacks merit. The New York State Archives Partnership Trust is a 501(c)3 non-profit organization whose mission is to support education, preservation, and outreach programs not funded by New York State in order to make accessible the archives from 350 years of New York’s colonial and state governments.